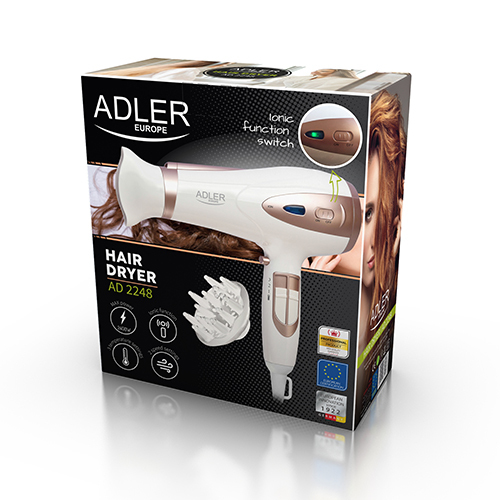 AD 2248 dryer with ionizer * is a choice of exceptionally demanding people who care about their hair and its beautiful look. The dryer has been equipped with an ION switch with a control lamp (when Sswitched on the blue color turns into green). 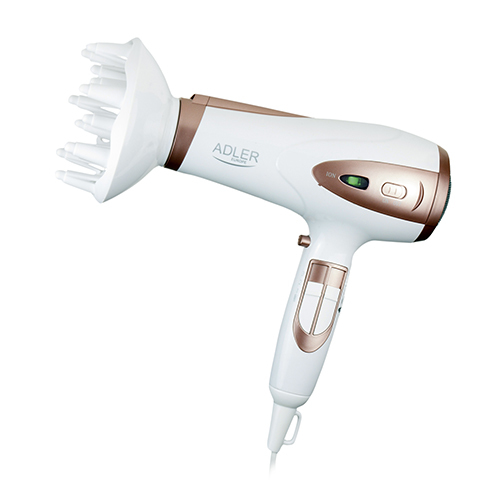 In addition, the dryer has an independent regulation of both the air speed and temperature level, including the Cold Shoot button for the final hairstyle fixing. The dryer has a removable air intake filter. The set includes a concentrator and diffuser. Modern design. 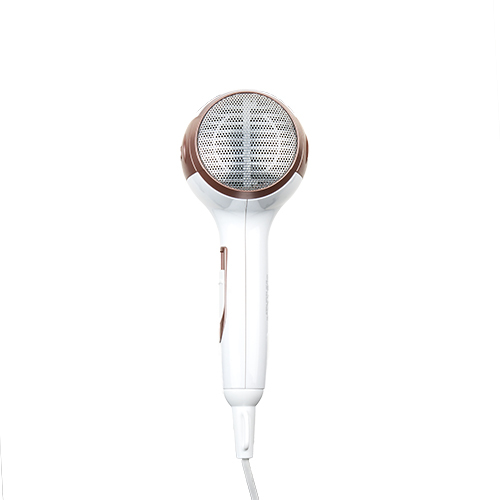 * Electronic ionizer produces negative ions that neutralize positive ions in the air. The process of neutralization of ions closes the scales of the hair, reduces the tendency to twisting and static and gives the hair shine. The hairdryer ADLER AD 2248 is an elegant and professional dryer that will help you to stylize your short, medium or long hair. Efficient and long-lasting, thanks to high-quality materials it will serve for many years. What is more, modern solutions will also help to take care of the health of your hair! 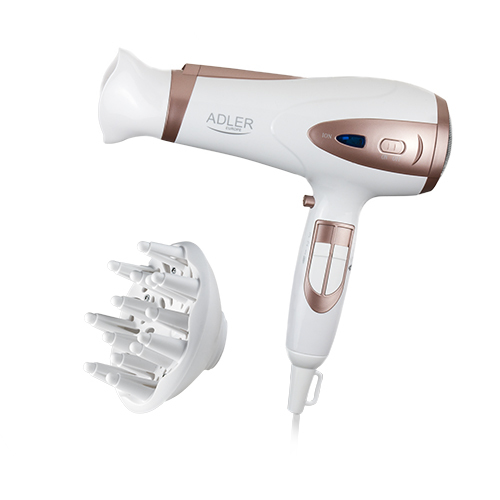 You no longer have to worry about blow-drying your hair daily! 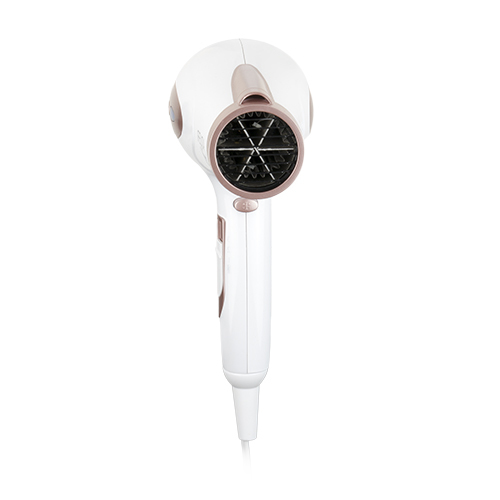 In addition, modern design makes it an ideal gift! 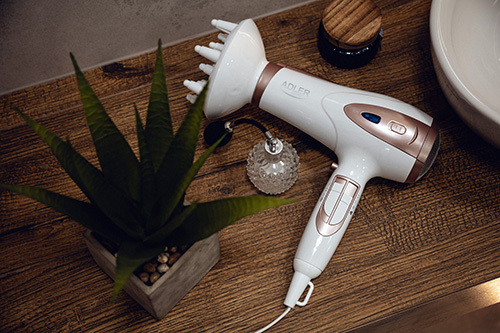 The modern 2400W hairdryer has been equipped with independent air speed and temperature controls, which will allow you to quickly and comfortably adjust the airflow to the length and wetness of your hair. 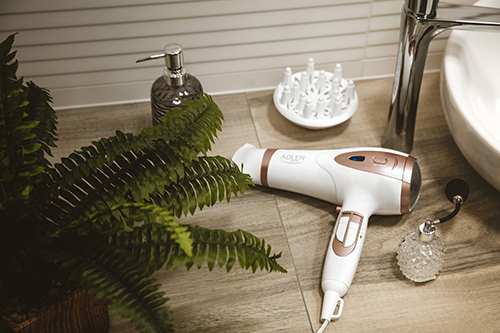 Three temperature settings and two airspeed settings will be useful if you have thin hair that should not be subjected to the highest drying temperature. The low noise is also a great advantage of the dryer that allows you to blow-dry your hair without fear of waking up the household. The small size of the dryer and special hook allow for convenient storage of the device. The stylish design means you can also keep the dryer in a visible place in the bathroom, which is especially important if you use it every day! Power cord with a length of 1.8 m and a comfortable ergonomic handle is an additional convenience in using our product! Blow-drying is considered an activity that damages our hair. It cannot be concealed that high temperature can dry them and affect the fragility of our hair, but by using modern products and devices, we can quickly eliminate this problem. 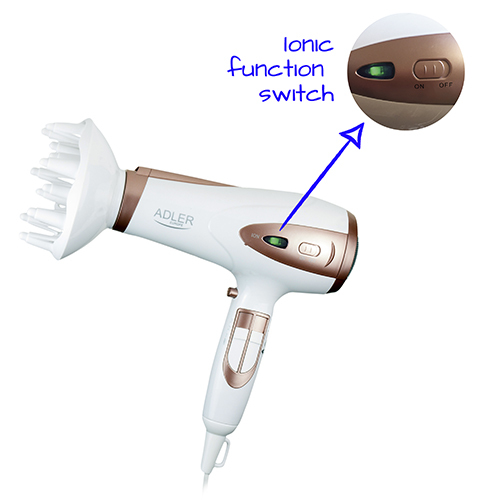 Our dryer is equipped with an Ionic function with a separate control lamp that prevents hair from getting frizzy. No more static strands! Cool Shoot - the function of a cool air flow closes hair cuticles and fixes our hairstyle. You will reduce the number of styling products, your hair will be grateful! In addition, the set includes a diffuser, which will help you to blow-dry curly hair and a concentrator that will speed up the whole drying process. Removable air inlet filter allows safe use of our dryer. We do recommend!